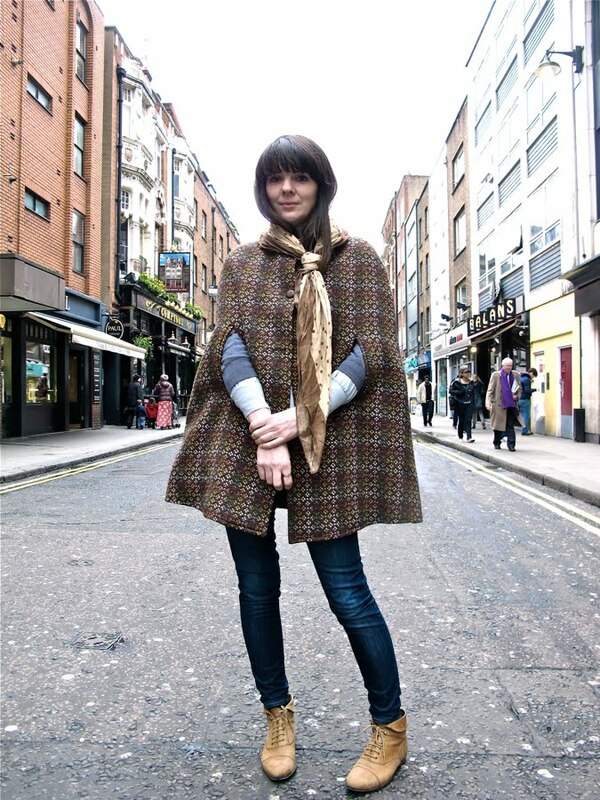 Image by The Facehunter, London, March 2010. THE BLOGGER AND THE city; this crucial dynamic is an important and oft neglected aspect of fashion blogs – a consistent presence and relationship that is utterly essential to the context of nearly all of these platforms. To date, the discussion on fashion blogs in academia has been predominantly concerned with the technological and social implications. From a technological perspective; blogs have democratised fashion journalism, offering new means of production, distribution and consumption, in turn providing a platform for social networking around the globe. Anyone with an internet connection has the potential to engage a global audience with their personal commentary of fashion and all its concerns. Blogs offer subjects the possibility for acting and performing, and personalities and identities may become as interchangeable as the very wardrobes that adorn them. Many bloggers, such as The Sartorialist’s Scott Schuman and Style Bubble’s Susie Lau, have themselves become international fashion celebrities for their dedicated and carefully curated blog posts, and the blogger as a citizen and inhabitant of the streetscape is crucial in this context. However, considering the long history of the city as a gendered space, and the fact that blogs themselves are so often gendered domains, it is perhaps surprising there has not been more attention paid to this concern with the representations of women in fashion blogs. 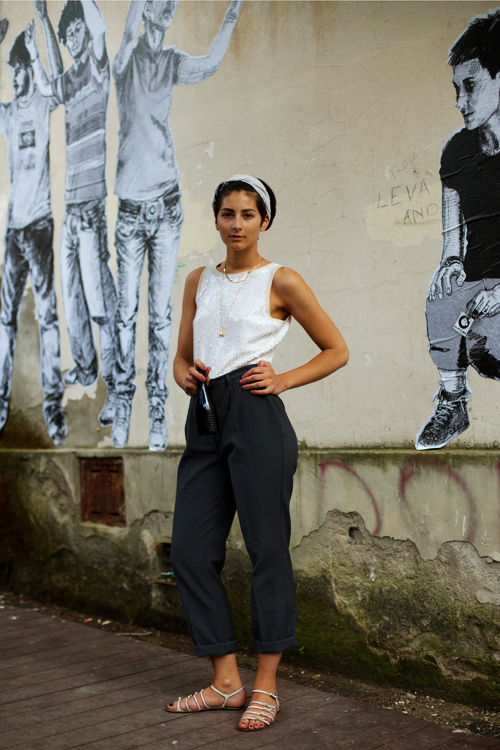 The city is the founding feature of ‘streetstyle’ fashion blog posts. A likely home to the blogger and their audience, providing the backdrop for the gazed upon subject, the city situates and contextualises the blog itself. We often familiarise ourselves with an un-travelled city through these means; how many of us know London or New York only through images posted on Facehunter or Street Peeper? Blogs both inform and tell stories but perhaps more interestingly, blogs speak of the relationships between the city and its subjects, and of ourselves as the viewers of these subjects. Street-style from The Sartorialist, Florence, June 2010. Power is not excluded from these relationships which is played out upon the surface of the screen. The city as a gendered space is a concept considered across a range of disciplines, such as art history, film studies, cultural studies and urban geography. In his book City, geographer Phil Hubbard suggests that representations of people and place embed and reinforce dominant social systems,1 so maybe we should be asking; how do fashion blogs reaffirm or contest traditional representations of women in the city? The very notion of women’s place in the city has been much discussed, especially by feminist scholars Janet Wolff2 and Griselda Pollock3 in relation to the concept of the flâneur. Both Wolff and Pollock consider the dominance of the male flâneur, and the invisibility (or indeed impossibility) of the female flâneuse in representations of nineteenth-century Paris. The flâneur features prominently in historical literature as the archetypal city dweller, a male adventurer conceived and critiqued by male writers. At this time men and women’s roles were largely defined by an increased separation of public and private space; the city and the home. Descending upon the dangers of the city, Wolff references Baudelaire when describing women’s role in the streetscape as confined to ‘whore, widow or murder victim’,4 and although the emergence of the department store provided safe passage, women remained marginalised in discourses of Modernity. In this context, and as a construct that can still be observed in contemporary culture, women are viewed as consumers, in stark contrast to the archetypal male role as producer, and this display of consumption in the form of dress largely reflected a woman’s husband’s wealth. Today much has changed, yet for all supposed progress, how many representations of women in the media continue to rely on outmoded and condescending stereotypes? Woman as an obsessive neurotic; concerned only with her appearance and a plethora of beauty products, the arch consumer, eternally hungry for more, more, more? In contrast, how many images present women in control, in action, a force of nature, a powerful figure at home in the city? Images of cities seem to remain predominantly those of male production and female consumption, and fashion images are no exception, frequently portraying woman as the object of the male gaze, whether in fashion editorials or fashion advertising. Bloggers and their subjects may provide the action and documentation of what philosopher Michel de Certeau would call ‘spatial practices’,6 helping to undermine and reconstruct the determining conditions of social life. Stand. Pose. Shoot. Marking space, the documentation of a range of heterogeneous subjects across the city may help reconstitute identities and configurations of power and gender. If ‘space is becoming the principle stake of goal-orientated actions and struggles’ as philosopher Henri Lefebvre7 suggests, we must take all the tools at our disposal to contest it. Film and city scholar Guiliana Bruno reminds us; visual representation is not merely optic, but also haptic.8 The city is no mere backdrop to a fashion shoot but a tangible place within it. Fashion blogs represent real people in real spaces, in everyday situations, and potentially offer unheralded visibility and documentation for divergent classes, races, ages and sexualities within contemporary society. We should not consider these people the mere objects of the gaze but seek to reinstate the individuality of their subjectivity. We cannot allow ourselves to be subsumed by the personality of the city which we inhabit, or the discourses of power that swirl about us. The power relations that exist in the city are real, but so are the identities of the people who inhabit them: let us hear their voices and know their stories. It can be suggested that any previously mentioned examples contain thousands of images that portray women as strong confident and empowered individuals. Women demand attention as they command the space about them (just consider the paparazzi like frenzy as bloggers seek to capture their images!). Fashion blog posts essentially provide a context for how many women function in their relationship to the modern world, intrinsically linked to the city for both work and play. Blogs reveal women to be as much at the heart of social, economic and cultural production, as they are with consumption. Undoubtedly consumption retains a large focus for any enquiry of women and fashion, but the production/consumption relationship is today less dichotomous. Reflecting the nature of blogs themselves, images of women in fashion blogs represent the potential for action in both production and consumption at the same time. The relationship between a woman’s appearance and her husband’s wealth of yesteryear has been largely replaced by representations that embody women’s independence and her ability for her own means of production. This means of production is intimately linked to the city. Women are as vital a part of our cities as men, contributing to all facets of modern life, and it is through fashion blogs perhaps that this knowledge is most prolifically documented. It may have happened in previous centuries, but in this one, women will not be hidden from visibility. Simon Swale is a New Zealand-based writer and lecturer at Otago Polytechnic.